Samsung SDS (CEO Won-pyo Hong, www.samsungsds.com) announced on the 19th that it has earned the AWS Security Competency status. Among AWS Partner Network members, those who are validated as having consultation experience and AWS product/solution deployment technology are awarded the AWS Security Competency status. Samsung SDS successfully obtained this certification due to the company's accumulated experience in security, know-how, and consulting capabilities, proving itself as an expert in AWS security. Samsung SDS currently offers cost-efficient cloud management services in conjunction with its partners Spot-Inst and Bitfusion. Now having earned the AWS certification, more stability will be added to its service security. 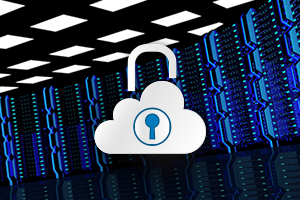 “The cloud service business is rapidly growing annually, making security an essential element. With the AWS certification, we will be able to offer seamless and optimized cloud security services,” says Ho Kim, Samsung SDS Cloud Business Division Leader and Executive Vice President. Meanwhile, Samsung SDS held the third Cyber Security Conference, under the theme of cloud security, at its Jamsil Campus on September 20. At the event, the company shared security technology trends and introduced its AI technology-applied cloud security services.